As a web hosting reseller, aside of having servers that are connected to the Internet and letting new customers know about your services via a webpage the most critical part of your company will be the set of hosting automation tools you use to manage your customers and your servers and the tools that you give your customers to manage their websites. This article is meant as an overview of the kinds of automation tools that are out there for web hosting customers, i.e. web masters and web site owners, and what advantages or gotchas there may be for these items as well as a list of the bare minimum set of tools you will need to run a reseller hosting company. In general, server management tools can be divided into software suites, like control panels, that provide control over a range of tasks and specialized tools or tool sets for a more granular control over smaller groupings of tasks. Control panels and other suites usually do not control everything in as fine a detail as you may like although they do offer the advantage of single vendor support and interoperability. That is, everything naturally works together and there is only one vendor you need to deal with if something doesn`t work (although this could potentially be a disadvantage as well). Let`s start by talking about the some of the software suites or control panels that allow a hosting reseller company to get off the ground quickly and easily. Three of the biggest and most well known reseller control panels currently offered are SWsoft`s Plesk, cPanel, and H-Sphere. 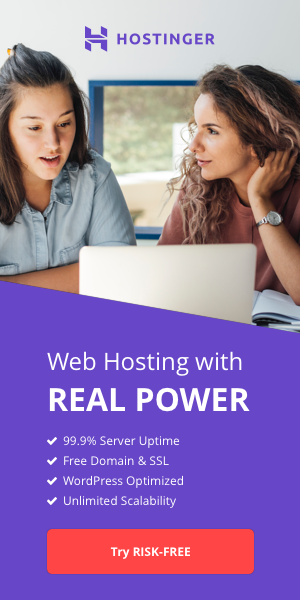 cPanel`s WHM (Web Host Manager) application can create web hosting accounts and packages, add websites to an account or suspend them, monitor bandwidth usage, park domains, and install SSL certificates, etc. A drop down menu will allow you to go to the control panel for any of your customer`s websites as well as your own. An upgrade purchase, WHM AutoPilot, will automate account management, and includes helpdesk software and a payment component among other tools. A downside for some hosting companies is that cPanel doesn`t currently support Windows or Apple (or Solaris) although all of these are in development according to cPanel`s website. H-Sphere is a difficult control panel to master but offers more options than either cPanel or Plesk. While H-Sphere requires its own server it also allows the administration of sites on different servers from the same control panel. H-Sphere offers control over separate domains with multi-domain hosting, can automate account setup, credit card purchases, domain registration, and includes a sophisticated helpdesk application. If you would like to develop your own solutions you should, as the reseller, at a minimum have an automated way to setup and manage accounts, process credit card purchases, manage websites with the ability to manage by account and monitor and log bandwidth usage and disk space usage per account. Some other nearly necessary automation tools include billing management, domain management, help desk and email notification applications. Your customers should, at a minimum, be able to manage some of their account details and email accounts including the ability to make online payments, manage their files and database, manage some of the aspects of their website, and view their site statistics. If you are planning on developing your own set of management tools or you are going to add in a few specific tools to patch the gaps left by a control panel there is a highly developed methodology called CRM or Customer Relationship Management that helps companies manage their customer relationships in an organized way that can also be applied to how you think about your automation tools. As an example, a customer database might help Sales to predict their target markets, while being used by the Help Desk for simple information look-ups, while being used by the IT staff to determine the configuration for a server setup based on the customer`s hosting plan, while the Customer could use it to update their personal account information. While thinking about automation and web hosting it`s good to keep the goals of CRM in mind. Another way to think about hosting automation tools as opposed to thinking of them in terms of control panels or software suites vs. individual tools is to think of them in terms of tools for the web host and tools for the customer. Website and server management tools will contain a lot of overlap for the customer and the web host in terms of what the web host and customer use the tools for. What is different in these overlapping areas of management is the level of rights the user has. Obviously the web host and the customer will have different rights access levels. This is something that needs to be planned for whether you are using a suite or set of individual applications. Another important reason to divide your automation tools into customer and web host administrator categories is the applications you give to your clients add value to your company. Hosted applications are an area where hosting companies can diversify and be competitive beyond simply offering low prices. For example, a robust email application that acts like a desktop application through a web interface adds a huge value to your customer far beyond a simple hosting plan. If your customer hosts a small brochure website for their company but is able to replace Outlook with your email platform your hosting company will make more money on email than on the website and you will engender far more customer loyalty. There is no way this customer will move to a cheaper web host without the same kind of email support and even with it they will be unlikely to want to move their email archives, contacts and calendars, etc. without a strong reason to do so beyond a small price break. Following is a list of customer automation tools, most of which can generate profit for a web hosting company by creating a hosted service application, although the items in the list are also areas that need plain and simple management as well. We will leave the subject of hosted applications for now and focus on the items below in terms of hosting automation. From the client-side perspective, your customers should have the ability to manage their accounts in terms of how they relate to your sales, IT and tech support areas of your company. By automating tasks in these areas you can reduce the amount of man hours needed to run your company. Customers should ideally be able to retrieve forgotten passwords in a secure way, pay for their hosting plan, change their personal details, upgrade, cancel, downgrade their hosting plan, or add/drop web sites or plans to an existing account. They should also be able to find information about their account in terms of billing, site and domain information, access to tech support and how to use the tools you provide them. The more automated these tasks are the fewer calls and emails your support staff will have. Also, most people enjoy being able to do things for themselves rather than wait for someone else to do it, for example, a customer`s website that allows users to upload images might exceed their disk space late one night. If the webmaster is alerted instantly and can add more space and pay for it right away through an automated interface and their site then continues working they will be much happier than having to find out about the problem from their customers and then email the help desk or sales about getting more space. A security concern regarding account management software is that hackers will love fully automated system even more than the customers. Fraudulent accounts can be used to send spam, distribute viruses or host illegal content and without a human being watching over the process your fully automated process makes it easy to do. Site statistics are important for most companies with a website as a gauge for how they are doing. Without knowing how many hits they are getting on each page, the time users are spending on each page, or what keywords are leading users from which search engines to their site it will be nearly impossible to engage in a serious SEO effort. These kinds of statistics are not only important for marketing and sales but for IT as well. One important feature that shouldn`t be overlooked is a tool that alerts customers when they are nearing their monthly bandwidth allotment or maximum disk space usage. If you let your hosting plan kill your customer`s website they may well move to another host even if it is technically, "their fault". Save your customers from themselves. This is a matter of policy as much as automation as well. By nailing a customer to the wall with a steeply escalating price scale for going over their bandwidth usage in an `unlimited` usage plan you will probably be kissing them goodbye as a customer. For many web hosting companies email is the red-headed step child of software applications. It`s there but ignored when this can actually one of the most important tools a web host has for retaining their customers. If a web hosting provider can also provide a company with a hosted email service that feels like a desktop application without any client side software they will keep their customers. Email is a very `sticky` application. Companies will be extremely reluctant to move to from a web hosting provider that can provide an enterprise level collaborative email solution to one that simply provides a mail server. 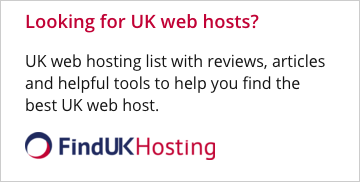 Customer loyalty is low in the web hosting industry and is often determined almost solely on price. This is the killer app that will tie your customers to you. This pertains to hosted applications again which is not the focus of this article but it`s worth noting since it is such a money-maker. On a pure management basis customers should be able to add/manage/delete email addresses and delimit their access rights according to the kind of email you are providing them. This begs for automation and can really eat up a help desk`s time if the customer doesn`t have their own tool to manage this themselves. HTML editors come in an infinite variety of feature sets and prices. The lowest form of editor on the evolutionary scale is Notepad although this classic application still has its proponents while more advanced editors feature WYSIWYG(What You See Is What You Get) and source editing, scripting, hotkeys, integration with FLASH and other apps, etc. Technically, you don`t have to provide an editor and many web hosting providers don`t but it will help you keep your less technical clients if you have a good one. Site Builders on the low end are little more than a basic HTML editor with some templates to get started with. More robust site builders offer automated graphics tools, style sheets, automated web blogs and forums, site navigation(menus), upload capabilities, site security wizards, shopping carts, SSL, PayPal setup, credit card authorization and even sales & promotion management tools. These range in price from nothing to thousands of dollars for an enterprise license. An extremely advanced web-site builder will help with less technical customers or customers without a high development budget but may be wasted on customers who have a substantial development staff in place. Site and directory security is something you will have to carefully plan in terms of how much control you want to give your customers. You will have to balance the risk of allowing your customers a high amount of control vs. having your support staff take time to help your customers setup their security environment. Database & ODBC management should give your customers the ability to manage their connectivity to a database and to manage the objects in the database itself. Database management tools range from very sophisticated and expensive heavy hitting analysis tools for serious research to tools that are a bit like WYSIWYG editors for web development or have a spreadsheet kind of feel to help beginning users tackle setting up and managing a database. If you are targeting the low cost hosting market the best scenario may be to invest more in a site building tool that will automatically create the database and hide it from your users although you are still going to need an interface for your users to manage tables and rows. Depending on your target market you will need to offer a different level of access to your customers for controlling their website. A low-cost shared hosting plan website may need little more than to know the root directory name of their website where a dedicated hosting customer will most likely want full access and control of all the features that are available for tweaking their site. All or nothing control is the easiest to provide because you can either give access or not, where the shades of gray in-between create the most difficulty when you have to find a way to create very granular levels of security. Your technical support staff will be very busy if they constantly have to look after constant small requests from your customers because they can`t do things themselves. Customers should be able to relate the domain name they`ve purchased to the IP address you are providing for them. They will need to contact their domain registrar to help with this as well and is something that is probably more on the `would be nice` list in terms of full automation than an absolute necessity. eCommerce tools will help your customers set up the infrastructure for their online revenue streams by allowing them to manage an inventory of goods and processing credit card and PayPal purchases. This is one of the most important tools to provide your customers for a web host targeting the small business market. Tech support access can very largely determine how your customers feel about your company and its services. By providing easy access to information on how to get things done and even tutorials on how to manage and build a web site with your tools you will greatly lessen the load you tech support has to carry and there is almost no technical overhead in simply providing a well-organized set of information. Email is obviously a must for tech support and chat is a very nice feature for a customer as well.